Digital Voice System’s AMBE-3000™ Vocoder Chip is an extremely flexible, voice compression solution that sets a new standard for quality, high-performance speech compression hardware. The AMBE-3000™ Vocoder Chip is a DSP-based vocoder that provides exceptional voice quality at rates as low as 2000 bps. The AMBE-3000™ Vocoder Chip offers the affordability and mobility required by virtually all full or half-duplex mobile communication devices. Its superior performance and flexible design configurations makes it an ideal choice for commercial, consumer and military communication applications. In other words. The chip can convert PCM audio to and from digital voice ( DSTAR, DMR and Fusion ). 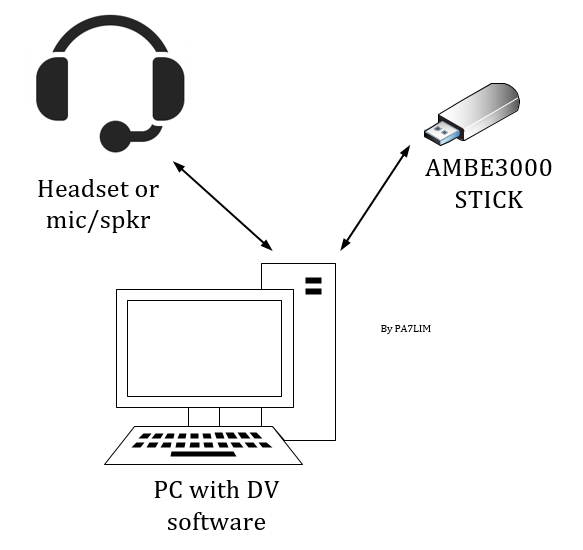 You put your AMBE3000™ stick in your PC and make QSO’s via headset or microphone and speaker. 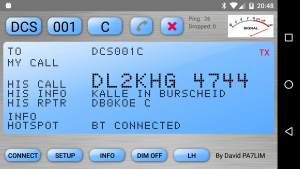 There is no need for an expensive digital radio. What AMBE sticks are available? I tested the following AMBE3000™ USB sticks. All the AMBE sticks do exactly the same! 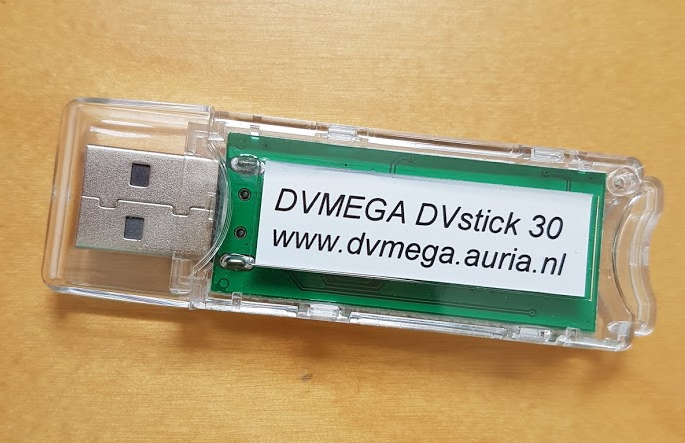 The DVstick 30 stick is made my Guus PE1PLM from DVMEGA. 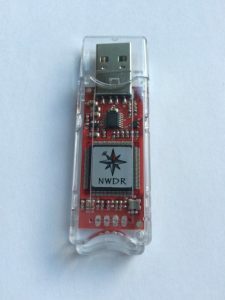 I think NW Digital Radio made the first AMBE3000 based USB dongle. I only support original AMBE chips from DVSI. Illegal AMBE chips will not work or not correctly work! Make sure you use an original chip from DVSI! 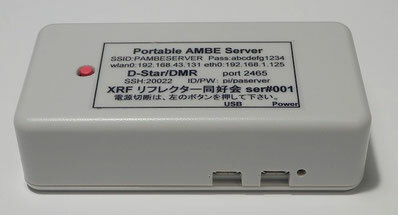 What AMBE network products are available? This product is made by the Japanse XLX Reflector club ( JA1COU, JH1TWX, JR1OFP, JA3IYX, JA4CFO, JA4CXX, JA4DQX, NW6UP ). I personally also have one. I connected the device with an USB ethernet adapter and OTG cable. Now I can connect my BlueDV Windows OR BlueDV Android device to it. Keep in mind that you can use one device at a time. You can not connect BlueDV Windows and BlueDV Android. You have to disconnect one of them. Mainly used to transcode multiple ( three ) streams at the same time. More information soon how to use the sticks and install/configure it for XLX transcoding.